A friend picked me up and we went to have lunch at Biopolis. Call me 'suaku' / 'mountain turtle' (a local term a person who hides away and do not know what's happening around), but this is the first time I have seen a gas detector. Having that in a carpark is a good idea. We have carbon monoxide detectors in our home since we have gas heat. 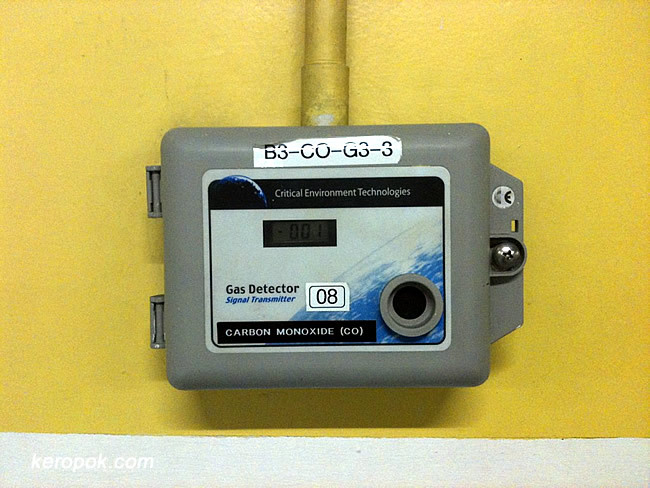 i'm also one of them, the 1st time i've seen a gas detector. Haha.. I wonder what others in other countries call it. Mountain Dew? hahaha..
LOL. I have not got the time to fly to KL yet. Airasia as been spamming my mailbox with cheap flight adverts though!! U from KL ah ?